A country rich in history, tradition and culture, Mexico is made up of 31 states and one federal district. It is the third largest country in Latin America and has one of the largest populations—more than 100 million—making it the home of more Spanish speakers than any other nation in the world. Despite the political and social changes that have occurred over the centuries, evidence of past cultures and events are apparent everywhere in Mexico. Many of Mexico’s rural areas are still inhabited by indigenous people whose lifestyles are quite similar to those of their ancestors. 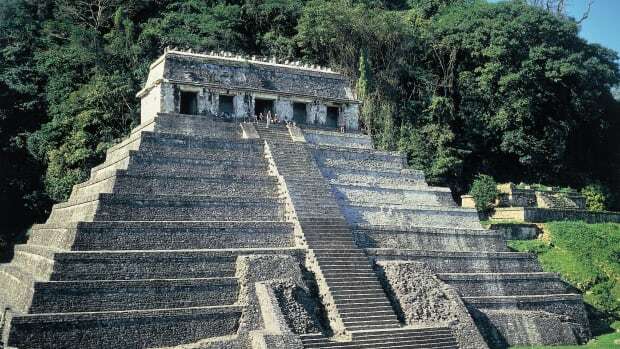 In addition, many pre-Columbian ruins still exist throughout Mexico, including the ancient city of Teotihuacán and the Mayan pyramids at Chichén Itzá and Tulum. Reminders of the colonial past are evident in the architecture of towns like Taxco and Querétaro. The Olmecs, Mexico’s first known society, settled on the Gulf Coast near what is now Veracruz. Remembered for the giant head sculptures they carved from native stone, the Olmecs had two main population centers: San Lorenzo, which flourished from about 1200 to 900 B.C., and La Venta in Tabasco, which lasted until about 600 B.C. Did you know? The three colors of Mexico’s flag hold deep significance for the country and its citizens: green represents hope and victory, white stands for the purity of Mexican ideals and red brings to mind the blood shed by the nation’s heroes. By 300 B.C., villages based on agriculture and hunting had sprung up throughout the southern half of Mexico. Monte Albán, home to the Zapotec people, had an estimated 10,000 inhabitants. Between 100 B.C. and 700 A.D., Teotihuacán, the largest pre-Columbian city in the Americas, was constructed near present-day Mexico City. 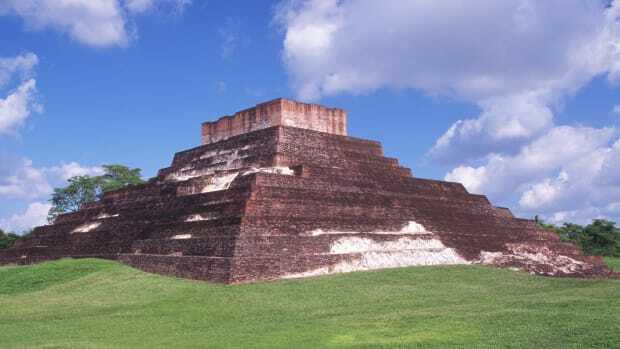 The civilization that built it is also called Teotihuacán, and the influence of this culture can be seen throughout the Veracruz and Mayan regions. At its zenith, with a population estimated at 200,000, the civilization is thought to have controlled a large portion of southern Mexico. The empire of Teotihuacán was overthrown in the 7th century, but the spectacular city survives today. 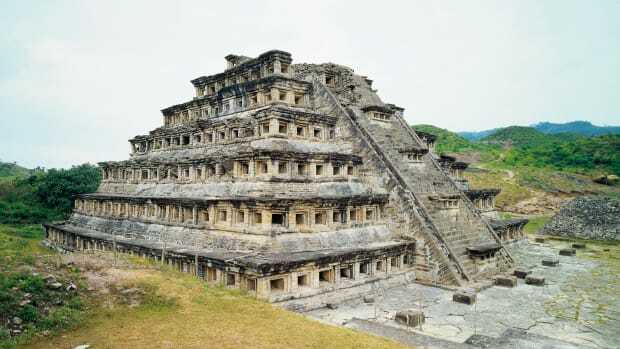 The Toltec civilization also influenced Mexico’s cultural history. 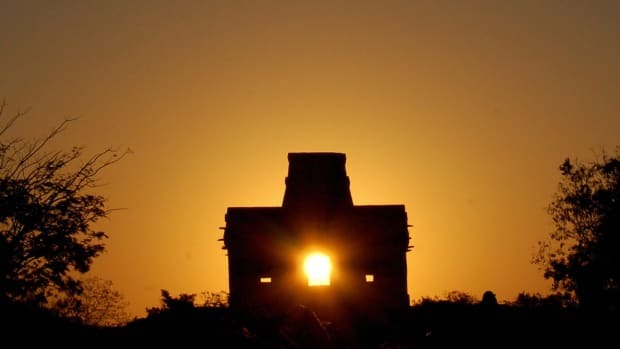 Historians have determined that the Toltec people appeared in central Mexico near the 10th century and built the city of Tula, home to an estimated 30,000-40,000 people. Some have speculated that the Toltecs performed human sacrifices to appease the gods. One of their kings, Tezcatlipoca, is said to have ordered mass sacrifices of captured enemy warriors. Because many Toltec architectural and ritualistic influences can be found at the Mayan site of Chichén Itzá in northern Yucatán, many researchers believe that Toltec exiles fled to Yucatán and created a new version of Tula there. The Aztecs, the last of pre-Columbian Mexico’s great native civilizations, rose to prominence in the central valley of Mexico around 1427 by partnering with the Toltecs and Mayans. This triple alliance conquered smaller cultures to the east and west until the Aztec empire spanned Mexico from the Pacific Ocean to the Gulf Coast. At their height, the Aztecs ruled 5 million people via a tightly-structured system of self-supporting units called calpulli. Each unit had its own governing council, schools, army, temple and land but paid tribute to the supreme leader of the empire. Influenced by earlier Mexican civilizations, the Aztecs conducted extraordinary religious ceremonies that featured dances, processions and sacrifices. Spaniard Hernán Cortés arrived at Veracruz in 1519. Believing that Cortés might be the serpent god Quetzalcoatl, Aztec King Moctezuma II invited the conquistador to Tenochtitlán. This gesture proved disastrous because Cortés formed many allies on his way to the city. In May 1521, Cortez and his followers attacked and conquered the Aztecs. Cortés then colonized the area and named it Nueva España (New Spain). By 1574, Spain controlled a large portion of the Aztec empire and had enslaved most of the ndigenous population. Worse, the diseases brought into the society by the Spaniards devastated the indigenous population of Nueva España, killing an estimated 24 million people between 1521 and 1605. 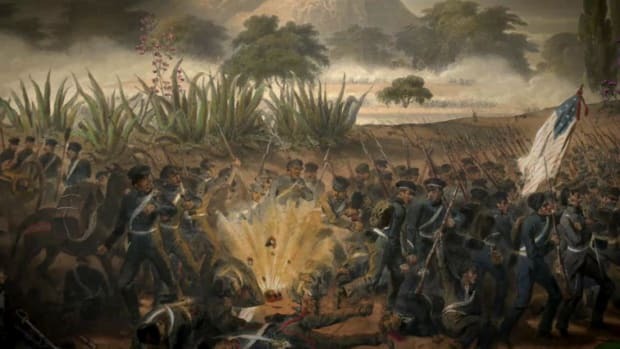 During this tumultuous time, colonists in Nueva España who had been born in Spain (peninsulares) clashed with Spaniards who had been born in Mexico (criollos). Many criollos had become rich and wanted equal political power, which now resided with the peninsulares. Concerned about the Catholic Church’s ever-growing power, King Carlos III of Spain expelled the Jesuits from Nueva España in the late 1700s. Napoleón Bonaparte’s occupation of Spain in 1808 compromised the country’s political and economic structure, which in turn weakened Spain’s grip on Nueva España. On September 16, 1810, Miguel Hidalgo y Costilla, a parish priest from the town of Dolores, issued a call to rebellion. In response, rebel leader Vicente Guerrero and defected royalist general Agustín de Itúrbide collaborated to gain Mexico’s independence from Spain in 1821. Together they drafted a Mexican constitution. However, in 1822, Itúrbide declared himself emperor of the country. A year later, Antonio López de Santa Anna overthrew Itúrbide and drew up a new constitution that established a federal Mexican republic composed of 19 states and four territories. 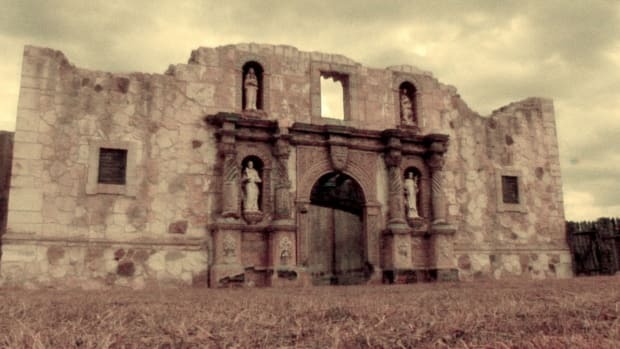 From 1823 to 1836, Santa Anna served as president, squelching Texas’ stand for independence in the battle of the Alamo during his last year in office. He was later defeated by American forces during the Mexican-American War and, by 1855, had gone into exile. Following Mexico’s occupation by the French in the mid-1800s, Porfírio Díaz served as president from 1876 to 1909. Despite ushering in the industrial age and greatly improving the country’s infrastructure, Díaz was a dictator who bestowed political favors on the very wealthy citizenry, largely ignored the poor and ruled ruthlessly by force. The Mexican people, tired of the unbalanced distribution of wealth and power, initiated the Mexican Revolution in 1910. 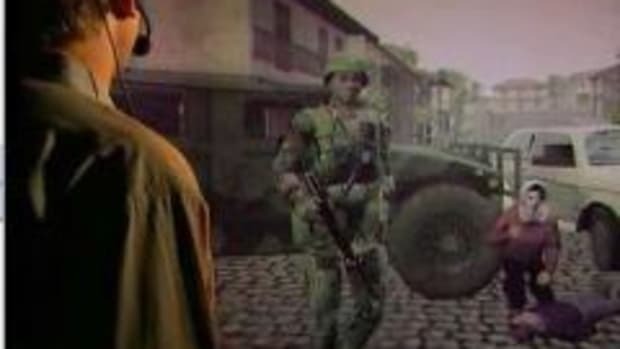 The 10-year civil war resulted in at least 2 million casualties. Finally, in 1934, Lázaro Cárdenas became president and reestablished the ancient ejido system, which established communally shared tracts of farmland. The system benefited both the citizens and the economy. World War II further stimulated the nation’s development through the development of roads, the building of factories and the establishment of irrigation systems. Mexico’s population has greatly increased since World War II, but the distribution of wealth remains imbalanced. Due to negligible legislative assistance, the poor are generally unable to improve their socio-economic status. The state of Chiapas exemplifies the problems caused by financial imbalance. In 1994, the Zapatista National Liberation Army rose up to challenge discrimination against Chiapas’ poor. Although their rebellion was unsuccessful, the Zapatistas continue to fight against imbalanced land ownership and power distribution, with little success. Further complicating the already problematic social division is the ever-growing problem of drug trafficking, which has contributed to political and police corruption and helped widen the gap between the elite and the underprivileged. In recent years, the building of foreign-owned factories and plants (maquiladoras) in some of Mexico’s rural areas has helped draw the population away from Mexico City and redistribute some of the country’s wealth. The North American Free Trade Agreement (NAFTA) of 1994 increased Mexico’s financial ties to the United States and Canada, but the Mexican economy remains fragile. 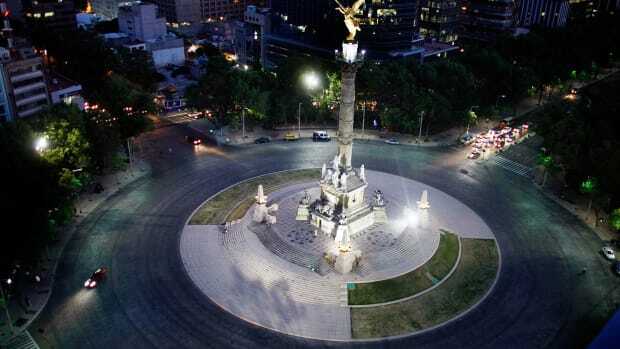 Despite its problems, the Mexican economy, with its growing industrial base, abundant natural resources and variety of service industries, remains important to Latin America. Today, tourism is a major contributor to the Mexican economy. People flock to Mexico from all over the world to sample the country’s cultural diversity, bask in the lush tropical settings and take advantage of relatively low prices. U.S. tourists constitute the majority of visitors to the country. 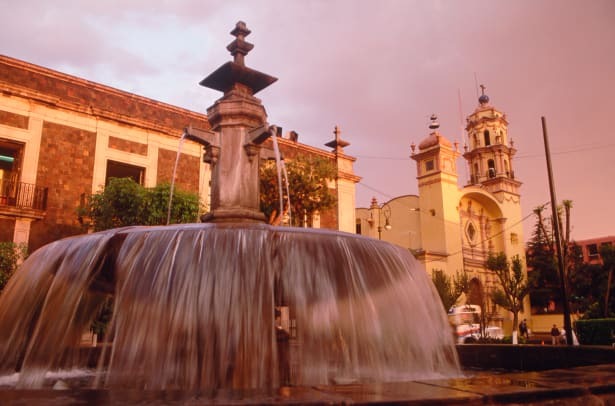 In the past, tourists traveled mainly to Mexico City and the surrounding colonial towns of the Mesa Central; unfortunately, the capital city’s reputation has suffered due to social and environmental problems, notably high levels of air pollution and crime. Tourists still flock to the beaches of the world-famous resorts in Acapulco, Puerto Vallarta, Ixtapa-Zihuatanejo, Mazatlán, Cancún and Puerto Escondido. The three colors of Mexico’s flag hold deep significance for the country and its citizens: green represents hope and victory, white stands for the purity of Mexican ideals and red brings to mind the blood shed by the nation’s heroes. The flag’s dramatic emblem is based on the legend of how the Mexicas (or Aztecs) traveled from Aztlán to find the place where they could establish their empire. The god Huitzilopochtli advised them that a sign—an eagle devouring a serpent atop a Nopal cactus—would appear to them at the exact spot where they should begin construction. On a small island in the middle of a lake, the Mexicas came upon the scene exactly as Huitzilopochtli had described it. They immediately settled there and founded the city of Tenochtitlán, which is now Mexico City, the country’s capital. Mexico is the third-largest country in Latin America after Brazil and Argentina. At nearly 2,000 miles, the border between Mexico and the United States is the second-longest in the world, after the border between the United States and Canada. Mexico is located in an area known as the Pacific “Ring of Fire.” This region, one of Earth’s most dynamic tectonic areas, is characterized by active volcanoes and frequent seismic activity. The highest point in the country, Citlaltépetl (also called Orizaba) and the active volcano Popocatépetl are among the many volcanic peaks in Mexico. The Great Ball Court at Chichén Itzá Mexico, which was used for ritualistic sports by the ancient Mayans, is the largest such court the world, measuring 166 by 68 meters (545 by 232 feet). The game, which involved elements similar to those of soccer and basketball, was played by two teams whose number varied according to region. Tequila, a liquor for which Mexico is famous, is made from the native blue agave plant. Named after the city where it originated, Tequila is primarily manufactured near Jalisco, which is 65 kilometers (40 miles) northwest of Guadalajara. Mexico is the world’s leading producer of silver. An area called the Silver Belt—which encompasses Guanajuato and Zacatecas in the Mesa Central, Chihuahua in the Mesa del Norte and San Luis Potosi farther east—saw significant mining activity during the colonial period. The Mexico City Arena—one of the largest bullfighting arenas in the world—seats 50,000. Another 35 arenas are located throughout the country. Chichén Itzá is an ancient Mayan city located on the Yucatán Peninsula. At its peak, around 600 A.D., it was the center of power in the region. Many of the original stone palaces, temples and markets remain throughout the city. Teotihuacán, an ancient city possibly built by the Toltecs, is located in the state of Mexico. The city rose to power in 150 A.D. and was a strong influence on Mayan culture. It is also the location of the world’s third largest pyramid, the Pirámide del Sol (Pyramid of the Sun). Paquimé, located in the state of Chihuahua, was a cultural center in north Mexico for over 300 years. At the height of its power in the 13th century, the city’s population is thought to have reached 10,000, with most of the citizens living in five or six story buildings similar to modern apartments. 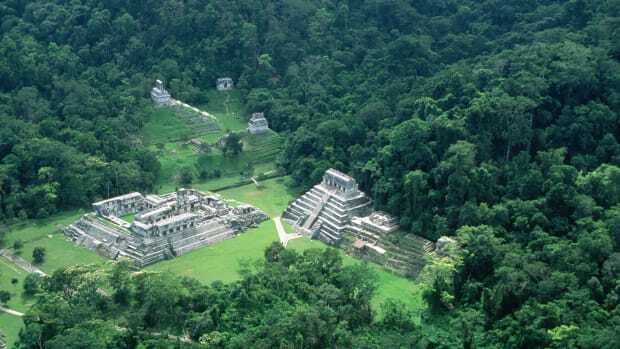 Paquimé featured a ceremonial area, temple structures, a ball court, pyramids and effigy mounds, including one that resembled a cross with perfect astronomical orientation. Turkeys and parrots were kept in special cages, possibly to supply feathers used for ceremonial and personal adornment. Cuarenta Casas (Forty Houses) are cliff dwellings located in the state of Chihuahua and discovered by the Spaniards around the 16th century. Despite the name, only about a dozen adobe apartments are carved into the west cliff-side of a dramatic canyon at La Cueva de las Ventanas (Cave of the Windows). Cuarenta Casas is believed to have been an outlying settlement of Paquimé in the 13th century. Palacio Nacional Mexico City is home to the three-story Palacio Nacional (National Palace), built in 1563 on the site of the Aztec leader Moctezuma’s palace. Originally, the palace housed all three branches of the government. Today, however, only the executive branch resides there. 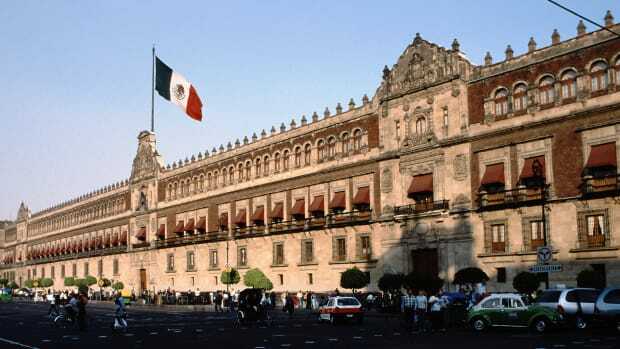 Palacio Nacional was destroyed by fire twice, once in 1659 and again in 1692. It was reconstructed in 1693 and remains largely unchanged today. In the early to mid-1900s, Diego Rivera painted a collection of huge murals on the walls of the palace that illustrate the colorful history of Mexico. The palace is also home to Mexico’s Liberty Bell. Located at the north side of Mexico City’s town square, Catedral Metropolitana is the largest and oldest cathedral in all of Latin America. Construction on the building, which blends Baroque and Neoclassical styles, began in 1573 and took three centuries to complete. The cathedral features 14 chapels, five altars and numerous statues, paintings and altarpieces of Christ and the saints. The Sea of CortésThe Sea of Cortés, also known as the Gulf of California, is situated between mainland Mexico and the Baja Peninsula. Located on Isla Partida, one of numerous sea islands, is Ensenada Grande beach, which many consider to be the most beautiful beach in Mexico. The Sea of Cortés contains many unique species of marine life, including the mantra-like Flying Mobulas, which can leap from the water and glide through the air, and the Vaquita Marina, the most endangered porpoise in the world. Located on the eastern rim of the Valle de Mexico, Popocatépetl and Iztaccíhuatl are Mexico’s second- and third-highest volcanic mountains. 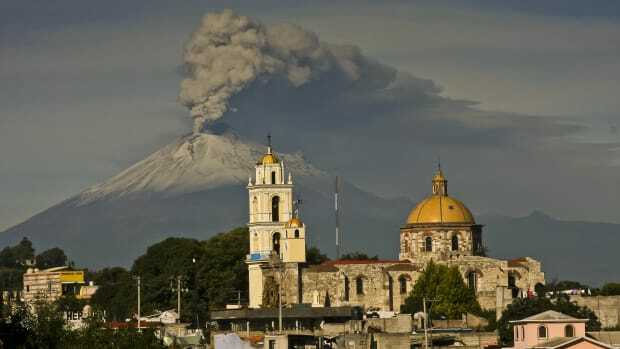 Craterless Iztaccíhuatl is dormant and a popular site for mountain climbing; however, Popocatépetl, whose Aztec name means Smoking Mountain, has erupted more than 20 times since the arrival of the Spanish. It continues to spout plumes of gas and ash and is carefully monitored by scientists. Mexico City, the second-largest metropolitan area in the world after Tokyo, is home to numerous attractions, including the Palacio Nacional and the Catedral Metropolitana. AcapulcoWith its golden beaches, tropical jungles and renowned daredevil cliff-divers, Acapulco remains the best-known and most popular resort town in Mexico. The Baja Peninsula along Mexico’s west coast, is famous for its long coastline of fine white beaches, peaceful bays and imposing cliffs. Guadalajara, Jalisco, is rich in Mexican culture. The area has become famous for its locally manufactured tequila, mariachi music, sombreros, charreadas (rodeos) and the Mexican Hat Dance. Citizens of Mexico highly value their nation, independence and community. Their culture is a composite of influences handed down by countless civilizations. From the early Mesoamerican civilizations to the diverse populations that live there today, Mexico’s citizens have remained proud of their heritage and their country. Many rural communities maintain strong allegiances to regions, often referred to as patrias chicas (small homelands). The large number of indigenous languages and customs in these regions, especially in the south, naturally accentuate cultural differences. However, the indigenismo (ancestral pride) movement of the 1930s played a major role in unifying the country and solidifying national pride among the various populations. Family remains among the most important elements in Mexican society, both in private and public life. From infancy to old age, an individual’s status and opportunities are strongly influenced by family ties. Many households, in both rural and urban areas, are inhabited by three or more generations due to the economic advantage (or necessity) of sharing one roof. Mexicans generally establish strong links to family members, including in–laws and friends of the family, who are generally thought of as aunts and uncles. The elderly, adults, teenagers and small children commonly attend parties and dances together. Weddings are generally lavish family-oriented events as are the traditional quinceañera celebrations given in honor of a young woman’s 15th birthday. The majority of the Mexican population speaks Spanish, the official national language. However, another 60 indigenous languages are still spoken in Mexico, including Maya in the Yucatán; Huastec in northern Veracruz; Nahuatl, Tarastec, Totonac, Otomí and Mazahua mainly in the Mesa Central region; Zapotec, Mixtec and Mazatec in Oaxaca; and Tzeltal and Tzotzil in Chiapas. Catholicism has become the dominant Mexican religion since first being introduced during Spanish colonization in the 16th century. Currently, more than 75 percent of Mexico’s population is Catholic, making Mexico the second-largest Catholic country in the world after Brazil. During the Mexican Revolution of 1917 and the administration of President Plutarco Elías Calles (1924 – 1928), there was a strong anti–clerical movement. This idea became less prevalent in the between 1940 and 1960. In fact that era saw a boom in the construction of new churches. The Basílica of Guadalupe, built between the 16th and 18th centuries to honor Mexico’s patron saint, is located in Mexico City. Each year, hundreds of thousands of people, many of them peasants, travel from near and far to worship at the shrine. Although this is probably the most important and beloved religious site in Mexico, thousands of other churches, convents, pilgrimage sites and shrines exist throughout the country. Mexico’s present population consists of Roman Catholics (76.5 percent), Protestants (6.3 percent), Pentecostals (1.4 percent), and Jehovah’s Witnesses (1.1 percent). Another 14.7 percent are non-religious or are of other faiths. Many Mexican holidays are Christian in origin, such as Pre-Lenten Carnaval; Semana Santa (Easter week); Christmas, including Las Posadas (the nine–day celebration that begins December 16th); and Día de los Reyes (Three Kings Day), which celebrates the Epiphany. Mexican children receive the bulk of the season’s gifts and toys on Día de los Reyes. On December 12, El Día de la Virgen De Guadalupe, Mexico honors its patron saint. During January, the city of Morelia celebrates the fiesta of the Immaculate Conception, and on the 17th of that month, pets and livestock are adorned with flowers and ribbons for the fiesta of San Antonio Abad. Día de los Muertos (Day of the Dead), which occurs on November 1, has ancient Aztec and Mesoamerican roots. This day is set aside to remember and honor the lives of the deceased while celebrating the continuation of life. Halloween (October 31st) and All Souls’ Day (November 2nd) are also locally important holidays. During this period, families celebrate the spirits of departed loved ones in various ways, including erecting ofrendas (small altars) in their houses, decorating tombs and eating skull-shaped candies (calaveras) and sweet breads. It is a time for celebrating ancestors–with whom many believe they can communicate during these events–and embracing death as natural and inevitable rather than as something to be feared. On October 12 of each year, the Día de la Raza (Race Day) is celebrated in recognition of the mestizo (mixed) character of Mexico’ s indigenous and European population. Widely celebrated patriotic events include Independence Day (September 16) and Cinco de Mayo (May 5), which commemorates the Mexican victory over French invaders in 1862. Mexican cuisine varies greatly by region but depends heavily on an ancient trinity of staples: corn (maize), beans and squash. Another staple, rice, is usually served alongside beans. Mexicans also tend to make liberal use of avocados (often in the form of guacamole), chili peppers, amaranth, tomatoes, papayas, potatoes, lentils, plantains and vanilla (a flavoring that is pre-Columbian in origin). Salt and hot peppers (often served in a red or green sauce) are the most common condiments; maize tortillas complement most main dishes. Popular dishes vary by region and individual circumstances, but some of the more widely enjoyed foods are tortillas (flat bread wraps made from wheat or maize flour), enchiladas, cornmeal tamales (cooked within corn husks or banana leaves), burritos, soft–shell tacos, tortas (sandwiches of chicken, pork or cheese and vegetables enclosed in a hard roll), stuffed chili peppers and quesadillas (tortillas filled with soft cheese and meat). Other favorites are soups and spicy stews such as menudo (made from beef tripe and fresh vegetables) and pozole (stewed hominy and pork). Seafood dishes such as pulpo (octopus), chipachole (spicy crab soup) and ceviche (seafood marinated in lime or lemon juice) are popular in coastal areas. In Oaxaca and a few other states, fried and spiced chapulines (grasshoppers) are considered a delicacy. A favorite among the Nahuatl Indians is huitlacoche (corn fungus) served wrapped in fat–fried quesadillas. Among the preferred desserts are sweet breads, chocolates and dulce de leche (caramelized milk), which is also called leche quemada or burned milk. On city sidewalks and streets, little bells announce the approach of paleteros, ambulatory vendors whose small insulated carts are filled with frozen paletas (popsicle-like treats made from creams or juices) and ice cream. Sugar–battered flautas (deep–fried filled corn tortillas) are popular with children of all ages. Meals are often washed down with aguas frescas (watery sweet drinks, usually roselle flowers), horchata (a milky rice–based drink) and drinks flavored with watermelon or other fresh fruit. Also popular are licuados (fruit shakes or smoothies). During the Christmas holidays and on the Day of the Dead, one of the more popular drinks is atole (or atol), a hot combination of corn or rice meal, water, and spices. Several well-known alcoholic beverages made in Mexico are derived from the maguey and agave plants. Maguey–also known as the Century Plant–is used to make pulque, an inexpensive drink. The plant was cultivated by many small farmers because it could thrive on infertile, rocky soil. Agave, in particular the blue agave, is used to make tequila, Mexico’s national liquor. The drink takes its name from Tequila, Jalisco, where it originated. Another alcoholic drink made from agave is mescal, which is produced primarily in Oaxaca. In every major city in Mexico, universities and museums provide institutional support for art and cultural events. Among Mexico’s internationally acclaimed museums are the Museum of Folk Art, the sprawling National Museum of Anthropology and its offshoot, the National Museum of History. Post-revolutionary artists Frida Kahlo, Diego Rivera, José Clemente Orozco, Rufino Tamayo and David Alfaro Siqueiros made significant contributions to Mexico’ s artistic and cultural heritage. Though diverse in their styles and subject matter, each drew upon personal and social experiences to create their work, which informed the sensibilities of worldwide audiences and inspired generations of young artists. 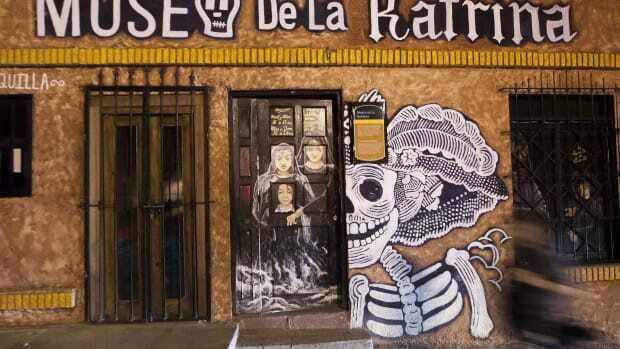 Murals, an ancient art form, grace the walls of public and private buildings throughout Mexico. Generations of muralists–influenced by artistic legacies traceable to the Aztecs, Mayans and other pre-Hispanic civilizations–have added their stories to those of their ancestors, captivating passersby with evocative figures and landscapes captured in rich colors and bold strokes. Diego Rivera, whose mural Man at the Crossroads graces the lobby of New York’s 30 Rockefeller Plaza, is the most renowned of Mexico’s muralists. His works are also displayed at the Mexican National Palace and the Palace of Fine Arts. Music, like food, is a mainstay of Mexican social life. The styles are diverse and include both traditional and modern genres. Perhaps the best-known Mexican genre is the ranchero. Popularized after the revolution, the ranchera came to symbolize the new national consciousness and focuses largely on love, patriotism and nature. Because of its familiar themes and rhythms, this song style has become popular among mariachi musicians. Highly recognizable in their customary silver–studded charro (cowboy) outfits and wide–brimmed hats, mariachi groups have enjoyed notable commercial success and are often featured at festivals, banquets and wedding. Another popular genre is norteño (northern), which relies on the accordion and 12–string bass guitar for its characteristic stylizations. More recent musical innovations include banda, which is similar to norteño music, and cumbia, which is heavily influenced by music from the Caribbean islands. Becoming increasingly popular among Mexican youths are modern genres such as pop, hip–hop and rock–musical forms that gained popularity during the last century in the United States. Mexico has a strong theatrical tradition kept alive by many professional, academic and indigenous groups. Although the theater’ s popularity diminished with the rise of television and film, groups still perform all over the country in large and small venues. In Mexico City, theater lovers can visit El Palacio de las Bellas Artes, Mexico City’s famous opera house, to see the Ballet Folklorico, a famous dance performance that blends various types of native music and dance. Some regions feature plays that recount events from local history. In other cases, plays drawn from universal themes or celebrate such common concerns of daily life as love, marriage, joy, betrayal and hope. During Semana Santa (the holy week from Easter until Palm Sunday), many communities enact a full passion play that depicts the events surrounding the life, death and resurrection of Jesus Christ. Many of these performances are impressively staged and draw large crowds. Several Mexican actors and filmmakers have been internationally recognized, including directors Alejandro González Iñárritu (Amores Perros, 2000; Babel, 2006), Alfonso Cuarón (Y Tu Mamá También, 2001) and Guillermo del Toro (El Laberinto Del Fauno/Pan’s Labyrinth, 2006). 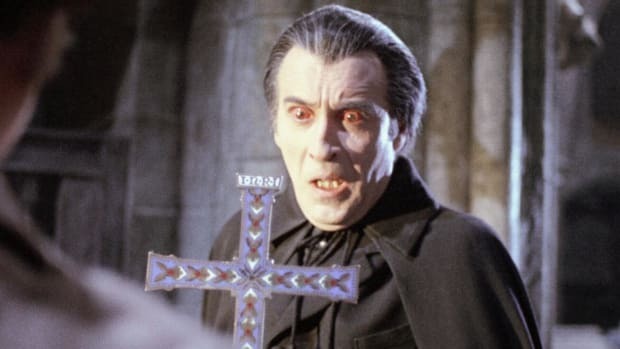 Spanish director Luis Buñuel and French Surrealist André Breton both spent many years in Mexico, and their influences are seen in the works of current Mexican directors. Based on her 2002 theatrical portrayal of the internationally recognized Mexican painter Frida Kahlo, Salma Hayek became the first Mexican actress to be nominated for an Academy Award. Mexican writers have gained reputations by dealing with questions of universal significance. One of the best known is Samuel Ramos, whose philosophical speculations on humanity and culture in Mexico influenced post–1945 writers in several genres. Many consider Mexico’s Octavio Paz to be the foremost poet of Latin America. The novels of Carlos Fuentes are honored throughout the world, and Juan José Arreola’s fantasies are widely admired. Soccer is the favorite sport of the vast majority of the population. Unlike other Mexican sports, soccer can emotionally divide the country, especially when Mexican rivals meet each other. People from all over the country attend matches, which are usually held on Sundays. Winning the coveted Copa Libertadores, the Latin American equivalent of the European Cup, is an honor that motivates both players and fans alike. In 1970, Mexico’s Azteca Stadium was host to the FIFA World Cup finals. This event was one of the most memorable in sports history as Pele and his Brazilian team won for the third time, making them the first country ever to win the tournament more than twice. Mexico hosted the event again in 1986. Well–known soccer players from Mexico include Hugo Sanchez, Cuahtemoc Blanco, Rafael Marques, Alberto Medina, Omar Bravo, Enrique Borja, Antonio Carvajal, Manolo Negrete, Jorge Gutierrez, Luis Flores, Salvador Reyes, Horacio Casarin, Alberto García Aspe, Jorge Campos and Luís Garcia. Mexico’s boxing tradition is well established and it has been home to some of the world’s most renowned fighters including: Carlos Zarate, Vincente Saldivar, Salvador Sanchez, Erik Morales, Ricardo Lopez and Julio Cesar Chavez, who is considered one of the greatest sports heroes in Mexican history. CharreadaA charreada is a Mexican–style rodeo. Unlike American rodeo in which participants are awarded prizes according to how quickly they perform, charreada focuses primarily on style and skill. In a circular arena approximately 40 meters (44 yards) in diameter, Mexican cowboys and cowgirls wearing traditional charro (cowboy) clothing participate in a series of events involving bulls and horses. Today’s charros are ranchers, business people and professionals who share an interest in preserving Mexico’s charreada traditions. Along the Gulf of Mexico and in the northern Mexican states, baseball is very popular. The Mexican professional league is named the Liga Mexicana de Béisbol, and the season runs from March to July with playoffs held in August. Equally popular is the Liga Mexicana del Pacífico, a high–level winter league that features players from Japan, Korea and the United States. The champion of this league participates in the “ Caribbean Series” with teams from Venezuela, Puerto Rico and the Dominican Republic. Also known as fiesta brava, bullfighting has been popular in Mexico for the last 400 years. Like Spanish bullfighters, Mexican matadores perform specific moves, occasionally using a piece of red cloth to attract a bull in a graceful manner. Bullfights are often preceded by festivities such as rodeos, pig chases and dances. Mexican style professional wrestling, called Lucha Libre (free fight) embraces all styles of wrestling: submission, high flying comedy and brawling. The sport achieves an extraordinary level of artistic expression through costuming and bravado performance. El Santo, possibly the most famous Lucha Libre wrestler, often starred in films, wore his silver mask throughout his life and was eventually buried in it. Other famous Luchadores include The Blue Demon, Mil Máscaras, and Rey Mysterio, who eventually moved on to American wrestling where he became even better known. Mexico is made up of 31 states and one federal district.